NEEDS: a shared identity should be defined and the common values should be clearly identified and understood by everyone. ACTIVITIES: sharing organisation’s core values and principles – what is ethics? What is sustainability? What is inclusivity? What is profit? What does quality of life mean? Which are the leading values and principles that identify our organisations? Vision e Mission Which is the raison d’être of an organisation? Which are the shared and guiding values? What characterise an organisation and how does it create value? What does an organisation want to be? Answering to these questions means defining the identity of an organisation. Clearly understanding and sharing an organisation’s mission and vision is the first and main step towards the definition of actions and strategies. The lack of a sound shared mission and vision is more often than not one of the main obstacles that organisations face. The lack of clarity in the shared definition of the the leading values of an organisation may cause dysfunctional processes, ineffective teams, vague and fruitless strategies. In tough times, when the organisation needs to reinforce and gain back its market position, understanding the leading values and the organisation’s principles, is essential. Since an organisation is made up of people, to understand and define the founding and leading asset of an organisation, we need to take into consideration and involve actively people.Values are part of the organisation’s DNA, therefore, they can not be imposed from the outside, but they need to be shared, negotiated, discussed and should emerge from a collective reflection. The values of an organisation are an organisational capital coming from the group, therefore values need to be built involving those people who will be called later to put those values into action by developing services and focused actions. 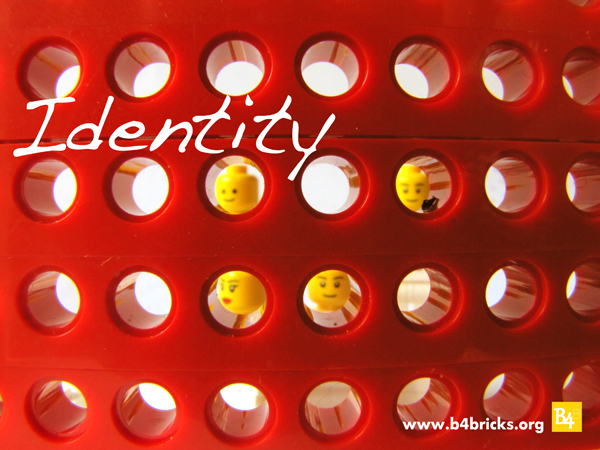 Workshop LEGO® SERIOUS PLAY™ is a method that enhance people to think, reflect and materially build, through involving and motivating processes, the vision and the mission of the organisation. Each participant is asked to build their understanding of the organisation’s vision and mission: thus, inconsistencies between individuals’ ideas emerge and can be discussed within a process that reduces personal tensions by focusing on ideas and on the metaphorical models. The whole process enacts an immediate and mediated interaction taking out those external factors or the effect of roles and seniority, which might inhibit a real and constructive discussion. From individual visions, the process takes individuals to build a shared scenario and their shared mission and vision: all values and principles are negotiated and agreed on and the process takes all participants to define a sound identity of their organisation. The action of building a shared identity, the negotiation of the organisation’s values and motivations’, highly increases the level of involvement and identification of participants, building the leading principles that will then be implemented in strategies and actions. Who should attend Managers of an organisation, working groups, think-tanks that need to share and define a sound and clear concept of their mission, vision and leading values. This entry was posted on May 2, 2013, 1:21 pm and is filed under Percorsi. You can follow any responses to this entry through RSS 2.0. You can leave a response, or trackback from your own site.